New dating app Clover is a sort of OKCupid meets Tinder but with the “algorithmic matching” included in other online dating sites like eHarmony. The twist? It aims to make it as easy to order a Friday night date as it is to summon your next burrito. “Our new on-demand service will find people that actually want to meet you and you’ll be able to find a date as easy as it is to order a pizza or a cab,” says Clover CEO Isaac Raichyk. Clover launched back in April as yet another ho-hum dating app. Same profile pics, demographic filters, swiping capabilities and messaging. Basically no reason to choose it over Tinder, Zoosk or Plenty of Fish. That is until now. 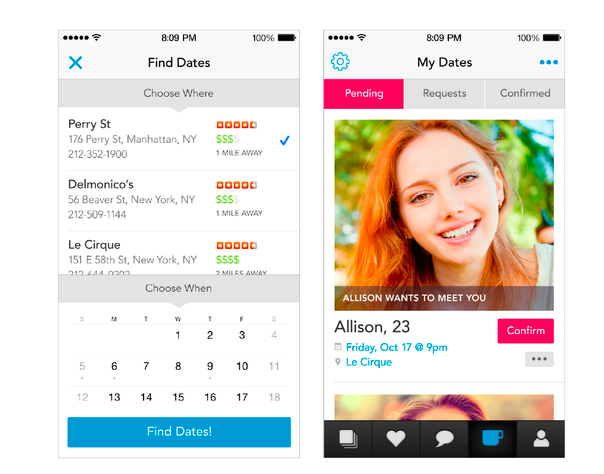 Clover just launched a new service that gives it that “on-demand dating” edge. Part of the problem with Tinder and apps like it is that a lot of people seem to use it to simply flick through the profile pics with no intent to meet up. Clover aims to solve that by letting you schedule a real life date. You simply add in the calendar where and when you’d like to meet up with someone. The app then suggests a potential prospect to join you and you decide if you’d like to spend your time with them. This is in a way quite similar to what Techstars Chicago startup Project Fixup is attempting to do. But in that case the founders employ human matchmakers to determine your ideal mate/date for the night. Clover, by contrast, employs a robot. Part of the solve for lack of innovation, of course, is the on-demand part. Take note that this feature will cost you. Clover, like most dating sites, is initially free. Users get a no-cost seven day initial trial and then it’s $9.99/month for premium service on the App Store after that. The on-demand version isn’t available to the masses until December, but will be part of the free version. There are also certain pay-to-play features in the app. 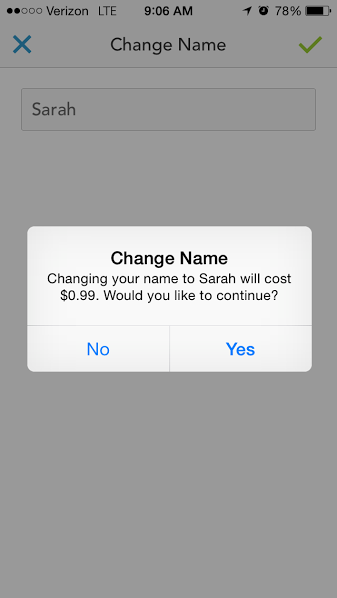 It’s 99 cents if you simply want to change your name from, say, “hotbunny101” to “Sarah”…for instance. Who wouldn’t want to go out with me? The funny thing is, a lot of guys still gave me a heart and one dude even reached out within 24 hours. The main question I’d be asking if I were single and looking is if a “proprietary algorithm” based on machines is better at determining who will be the love of my life or if this is better left to humans. You’ll have to try the app and decide for yourself on that.